Tamil Nadu, is the southernmost state of India. It is the 11th largest state of India in terms of area. The language spoken here is Tamil. The capital of Tamil Nadu is Chennai. Climate in Tamil Nadu is generally hot. People in Tamil Nadu have great taste for arts and culture. Kanyakumari district is the southernmost district in Tamil Nadu state. It is the second largest district in the state in terms of population density and the second most urbanized, next only to Chennai district. The district stands first in terms of literacy rate in the state. Kanyakumari is one of the most important tourist’s destinations in Tamil Nadu. It is famous for its moonrise and sunset. Best time to visit Kanyakumari is in the month of chitthirai (April-May). Kanyakumari is located at the tip of the Indian headland. The name of this place has been named after the virgin goddess – Kanyakumari Amman. Mythological stories represent that Goddess of Paravathi under the costume of Devi Kanniya did penance in one of the rocks in this area to reach the hand of lord Shiva. This place also a popular pilgrimage. Palm leaves are green and made up of several small leaves that are attached to a central point, depending upon shape. Palm leaves can be either palmate or pinnate in shape. 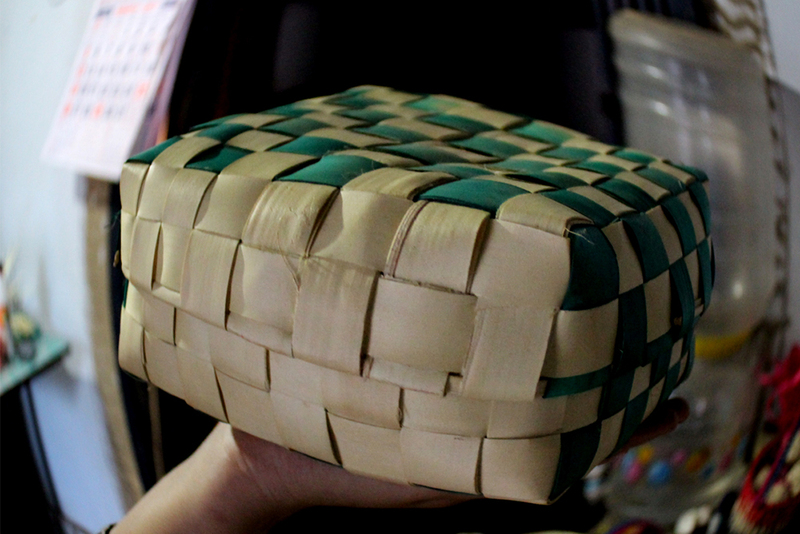 The palm leaf is available locally but sometimes needs to be sources from outside the region. Availability is subject to seasonal fluctuations. The leaves can be harvested all through the year except during the rains. Palm trees are commonly found in the coastal regions of India. The palm trees are basically found growing at tropical regions. They are rich and grow well in tropical areas. They have bright green leaves that grow as groups arranged at the top of the stem. The palm trees have flowers small and white. The palm trees grow better at sandy area where the roots can enter through the soil well and can without rain for a good time. The leaves of palm trees when dried used to make attractive products. There are numerous ways a palm tree can be used and is seen across various countries. Everything of palm trees appears to be utilized. The palm trees significance is said to be as old civilization itself. There are numerous ways a palm tree can be used and is seen across various countries. 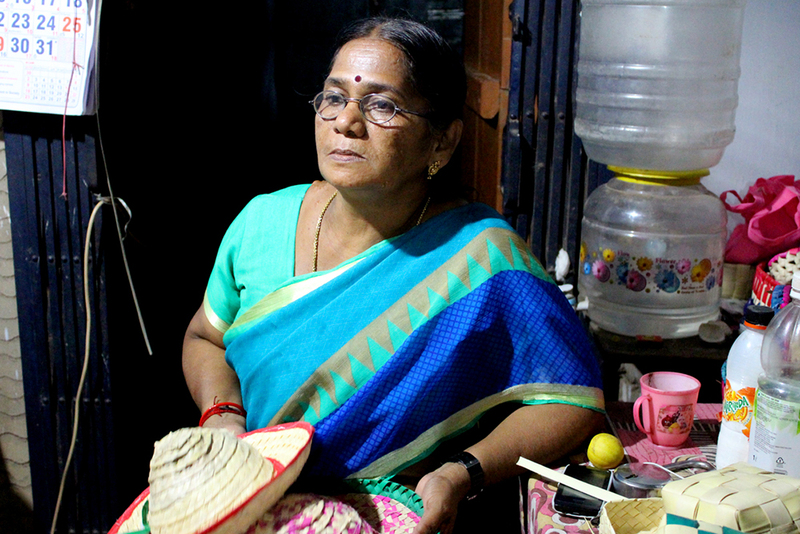 Madhini, an artisan living in Kanyakumari. 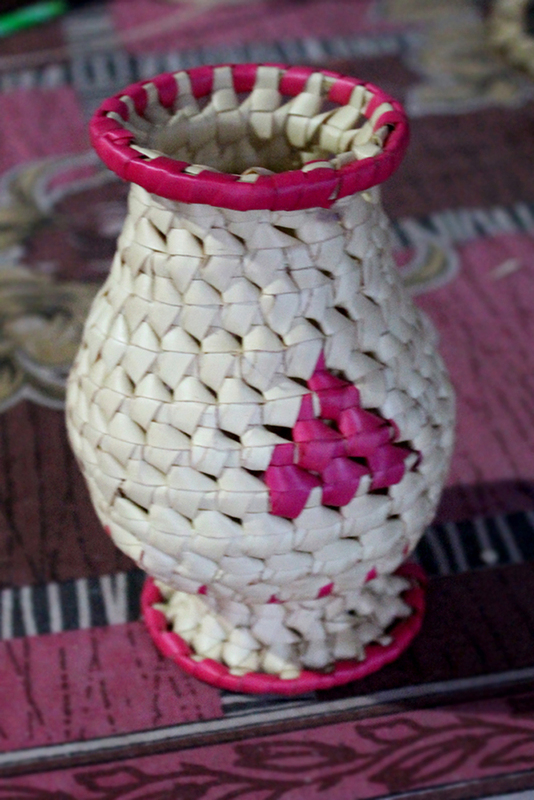 Madhini learnt this work from the senior craft people. They normally exports these products to Chennai, Kerala and many more places. 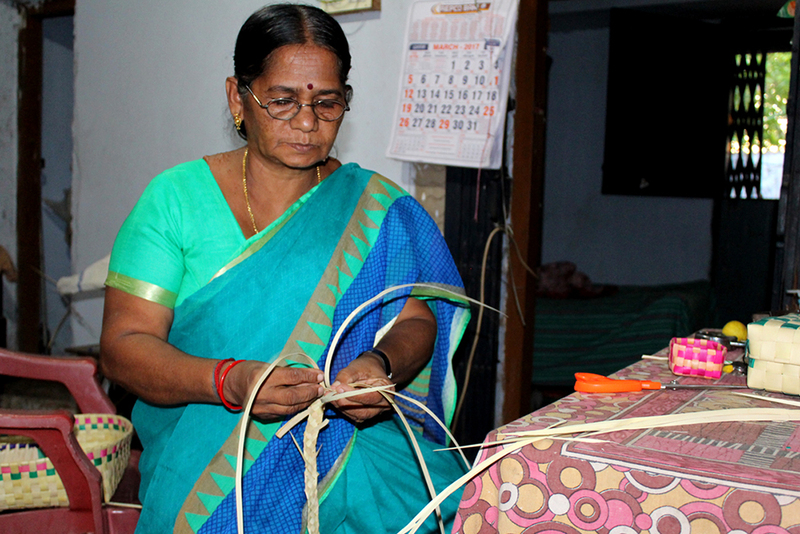 Women’s here are a happy making a livelihood out of weaving palm leaves, that they are earning more than. They earn around rupees 25 to 150 per basket and they can make up to a five basket a day.